Former firefighter and Valencia College alumni, Tina Collyer, passed away in 2008. The donations received during this year’s “Tina’s Turn Out” event will be used to create an endowment in her name for students who meet the Valencia Foundation scholarship qualifications once the $25,000 goal is achieved. Many people knew Collyer from her charitable work with nonprofits such as Central Florida Burn Camp and Dreamflight, which flies terminally ill children from Great Britain to Orlando, allowing them to spend a week at our local area theme parks. Her work and community service with the Orlando Fire Department also allowed her to take charge of the “Explorers” program for over 10 years. This scouting program started back in 1976 for boys and girls ages 14 to 21 years-old, allowed young people to shadow firefighters on the job and participate in meetings that would prepare them for careers as firefighters. “Once they stick with the program the Orlando Fire Department will sponsor them to get their fire standers, and after that to get their EMT certification,” said Explorers’ founder and retired Deputy Fire Chief, Randy Tuten. After receiving this training, graduates are provided with the opportunity to work as a firefighter anywhere in the state of Florida. Continuing Collyer’s work with the Explorers, Mark and others created a scholarship in her honor called “The Tina’s Heart EMT Scholarship” at Valencia. The goal of the scholarship was to provide financial aid to young Explorers students the means to finish their EMT training and certification while still attending classes. Before this can be finalized and students can take advantage of this charitable outreach, the fund has to reach an endowment of $25,000. A grassroots effort of charitable walks and yard sales has helped to raise over half this amount, but there is still more work to be done before this dream becomes a reality. 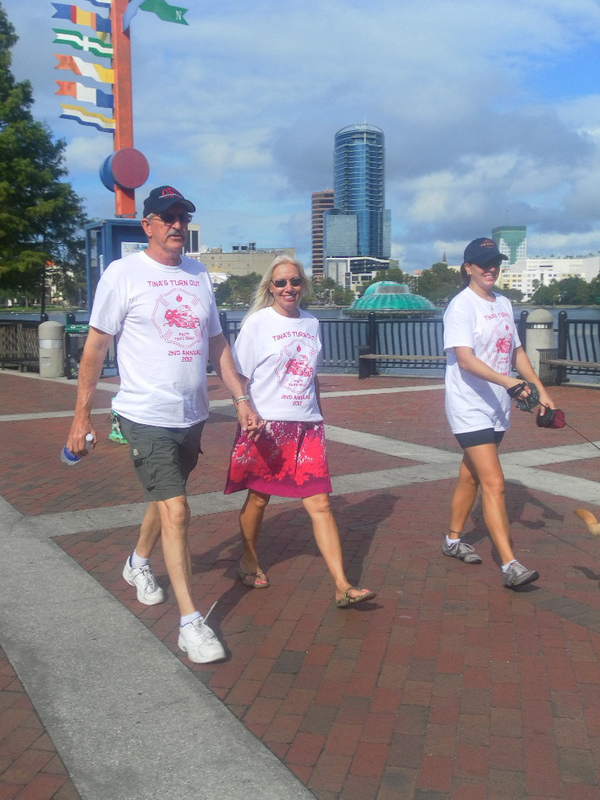 “Tina’s Heart Walk” is the group’s largest event and the second annual fundraising walk to be held in her honor. This event took place at Lake Eola park on Sept. 15 with an enthusiastic gathering of friends and family coming out to show support and help raise money. Though the level of local corporate sponsorship is gaining ground, the number of participants in this year’s walk was slightly less than in its inaugural year. Collyer’s family and friends are undaunted and continue to focus on what this scholarship will do to honor her memory and continue her work for local children. “If it involved children she didn't just help out, she ran it,” said William Collyer, Tina’s brother. After she passed in her sleep at home Tina was found by her brother William, succumbing to a three-year ordeal of pancreatitis. If you would like to donate to “Tina’s Heart” or volunteer for future events, information can be found at the Valencia Alumni Association’s website at https://donate.valencia.org/tina. 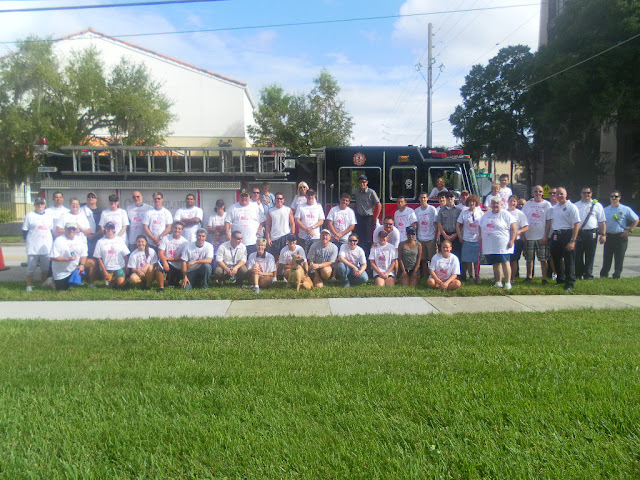 More information on the Orlando Explorers program can be found at http://www.cityoforlando.net/fire/Explorers.htm.